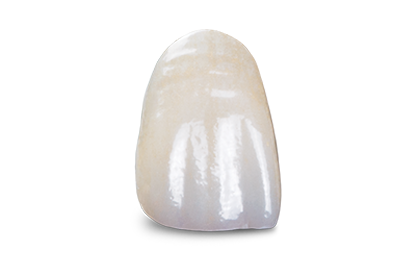 ZirTek™ Premium offers ideal strength and esthetics. At a flexural strength of 1100 MPa, this restoration option is indicated for anterior and posterior single crowns in addition to anterior and posterior bridges of any size. By using custom characterization and ideal anatomy for optimal fit, our technicians fabricate this unique, case-specific restoration with the patient in mind. Along with the rest of our ZirTek™ line of restorations, ZirTek™ Premium has a lab turnaround time of 5 days and comes with a 7-year warranty.